May 2014 Lunchtime Lecture - American Natural History and the Theory of Degenerate Nature - Twice This Week! • The practice of natural history became a science of describing and classifying nature as America became an independent nation. One of the founders of this new science was the French polymath Comte de Buffon who published his 36-volume encyclopedia Natural History between 1749 and 1788. In it, he argued that, compared to the Old World, all New World species were weak and feeble, since the dismal, cold climate of the New World made them so. Moreover, any species brought to the New World would succumb to the degenerative effects of this swamp-like world - a process, Buffon argued, which applied equally to Europeans immigrating to America. This theory of degeneracy appealed to the prejudices of many European thinkers and leaders, and it meant that describing the natural history of America was closely bound to nation-building and to refuting this European prejudice against American nature. 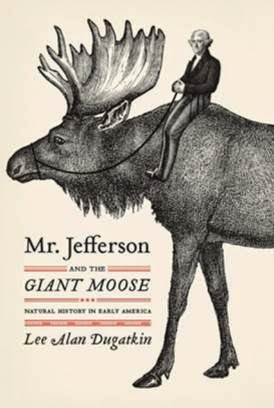 And so, from Jefferson to Thoreau, early American naturalists not only described American nature but defended American nature against this largely forgotten (and profoundly wrong!) theory. Join me this month as I explore this history of American natural history and how it still influences our understanding of American nature.